A reentry permit is a travel document for green card holders. The main benefit of a reentry permit is that it helps to protect your status as a permanent resident, even if you need to leave the United States for long periods of time. In this guide, I’ll discuss the reentry permit renewal process. When you’re finished reading, you should have a much better understanding of how to renew your reentry permit. If you have any questions, or if you need help with your reentry permit renewal, please email me directly at Michael@AshooriLaw.com. Can I Apply for a Reentry Permit Renewal if My Current Reentry Permit is Still Valid? How Many Times Can I Apply for a New Reentry Permit? A reentry permit is a travel document for U.S. permanent residents. It looks similar to a passport. It’s a small booklet with you photo, identifying information, and several pages to place stamps and visas within it. Why Do I Need a Reentry Permit? As a U.S. green card holder, you are required to maintain your permanent resident status. Leaving the U.S. for longer than 6 months can put your green card at risk. A reentry permit helps you by creating a legal presumption that you do not intend to abandon your green card based on your travel outside of the United States. A reentry permits is usually valid for a period of 2 years from the date it is issued. However, if you’ve been outside of the United States for more than 4 years total since becoming a permanent resident or within the last 5 years (whichever is less), your reentry permit will be valid for 1 year from the date it is issued. Many U.S. green card holders are in situations where they must remain outside of the U.S. beyond the expiration date of their reentry permit. Temporary work assignment outside of the U.S. Taking care of a relative in another country. If you are in a situation where you must remain outside of the U.S. beyond the expiration of your reentry permit, you will likely need to apply for another reentry permit. Technically, USCIS does not allow for a “renewal” of a reentry permit. The actual process requires you to apply for a new reentry permit. The I-131 is the Application for Travel Document (This is the form that is filed with USCIS to apply for a reentry permit). You must be physically present in the United States when the Form I-131 is filed with USCIS. Make sure to return to the U.S. before your current reentry permit expires. Otherwise, you could face serious consequences when trying to reenter the country. There are several documents that should be included with your Form I-131. To qualify for a new reentry permit, you will have to attend a mandatory biometrics appointment within the United States. The biometrics appointment is where your digital fingerprints are taken. You will have to attend this appointment even though you already submitted biometrics for your previous reentry permit. The biometrics appointment is usually scheduled by USCIS to take place about 2 months from the day you file your Form I-131. If you cannot stay in the U.S. from the date of filing your reentry permit application until the biometrics appointment, there are several options to consider including: 1) leave the U.S. once the Form I-131 is accepted by USCIS and return for the biometrics appointment; 2) request expedited processing of your reentry permit application; 3) attempt a walk-in biometrics appointment with your biometrics appointment notice in-hand. Here is a more detailed guide on overcoming common timing issues associated with reentry permit applications. 3. Can I Apply for a Reentry Permit Renewal if My Current Reentry Permit is Still Valid? Yes, you can apply for a new reentry permit while your current reentry permit is still valid. To be exact, you can apply for a new reentry permit “up to 60 days before the expiration date of the previously issued re-entry permit to ‘allow time for receipting of the application and issuance of the ASC appointment before adjudications.’” (AILA’s NSC Liaison Committee Practice Tips for I-131). What this means is that if you are applying for a new reentry permit while your current reentry permit is still valid, you should include your current reentry permit with your application for the new reentry permit. According to the USCIS Nebraska Service Center (NSC), if your application for a new reentry permit is filed with 30 days or less remaining on your current reentry permit, the application should be adjudicated without issuance of an RFE requesting the current reentry permit. It is unclear whether other Service Centers take this approach. (AILA’s NSC Liaison Committee Practice Tips for I-131). What this means is that if your reentry permit application will be adjudicated at the Nebraska Service Center, and your current reentry permit is valid for 30 days or less (from the date of filing), then you do not need to include the current reentry permit with your new reentry permit application. 4. How Many Times Can I Apply for a New Reentry Permit? The regulations do not limit the number of times you can receive a reentry permit. So, technically, there is no set limit to the number of reentry permits you can receive. Even though the regulations do not put a limit on the number of times you can receive a reentry permit, applying for multiple reentry permits can be problematic. After getting approved for your first reentry permit, each subsequent reentry permit becomes increasingly more difficult to obtain. 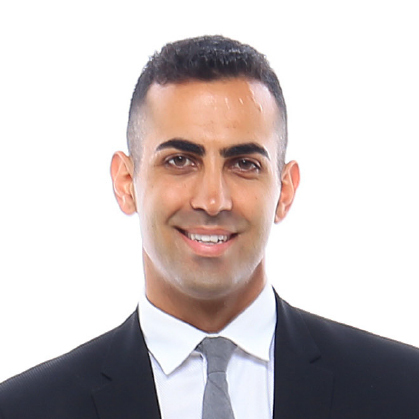 An experienced immigration lawyer can work with you to develop your application properly and to clearly explain the need for the reentry permit. An experienced immigration lawyer can help you determine which documents to include. The appropriate documentation for your case will depend on your specific situation. Some general documents that should be included are: 1) copy of permanent resident card; 2) copy of photographic page of passport; 3) passport photos. At this point, you should have a much better understanding of the reentry permit renewal process. Technically, a reentry permit is not renewed, instead you are required to apply for a new reentry permit. To apply for a new reentry permit, you are required to file a Form I-131 with USCIS while you are physically present in the United States. You are then required to attend a biometrics appointment. I know this is quite a bit of information to understand. 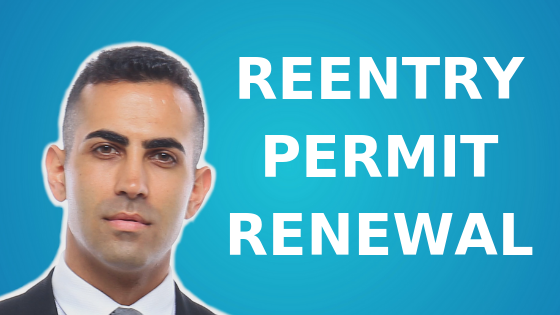 If you have any questions, or if you need assistance with your reentry permit renewal, feel free to email me directly at Michael@AshooriLaw.com. I would be happy to help you!